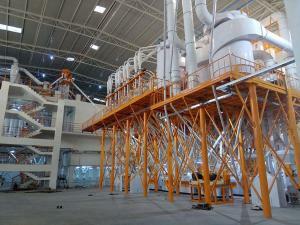 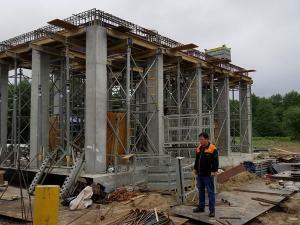 The production line is created by Pingle’s technical team, it uses the steel structure and the form of building, follow the "low energy consumption, high quality, high powder rate" designing concept, reducing flour ash to the greatest degree, improving the flour precision indicators, rending this production line a standard project of Pingle in Russia’s operation, and laid the foundation for further development in the Russian market. 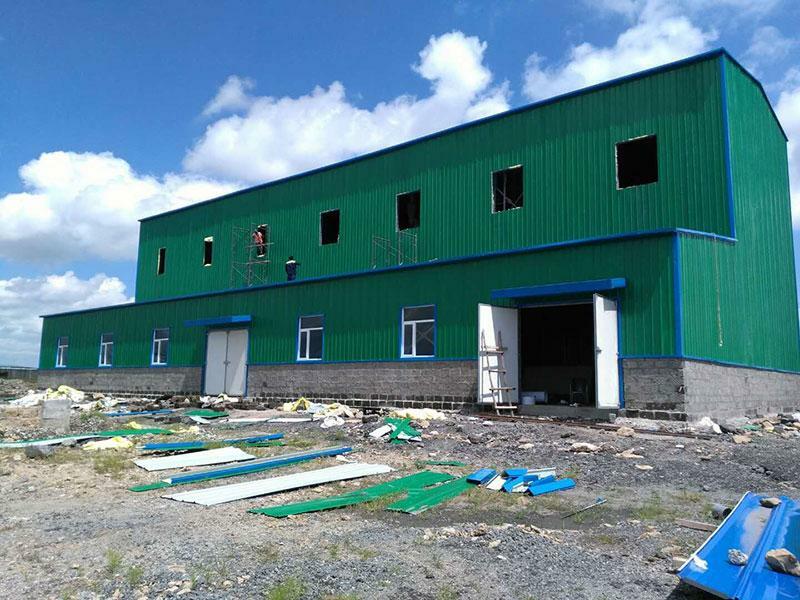 The first batch of equipment parts has been shipped starting from February 2018, and the whole shipment was completed in April shipments. 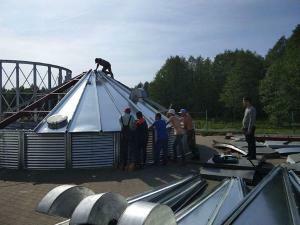 Currently this project is under intense process of installation. 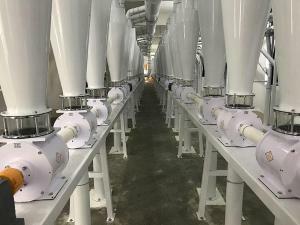 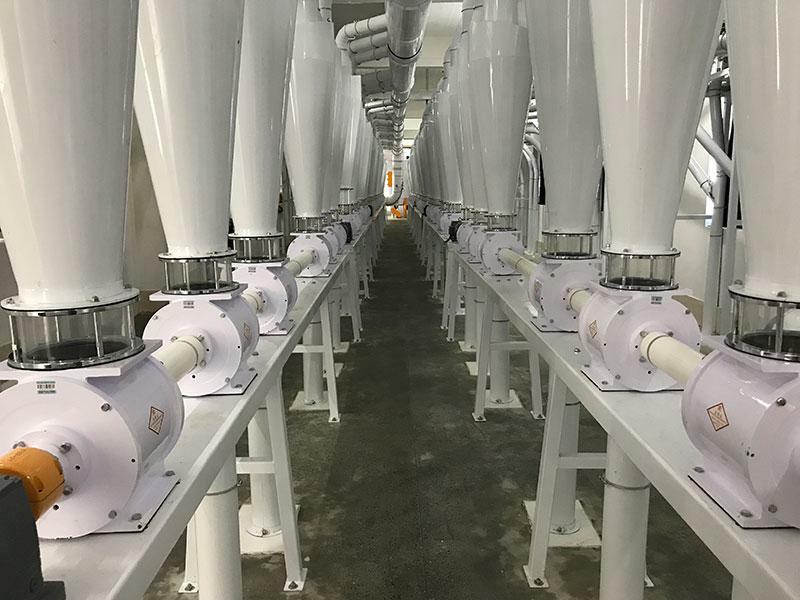 This equipment is composed of unprocessed grain reception part, wheat cleaning part, wheat flour milling part, finished goods warehouse, flour collocation part, centralized packaging part, loading parts and so forth. 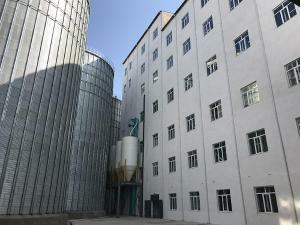 Its design included computer report system, packaging control system, automatic water add system and other advanced automatic control procedures, thereby achieving overall automation production line with minimum labor costs, improved production efficiency, and obtaining greater potential profits for customers. 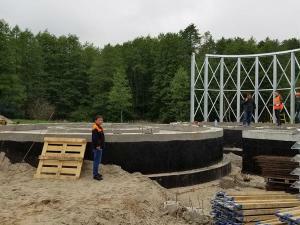 On September 2017 this project was completely installed as we began to test and adjust each single device. 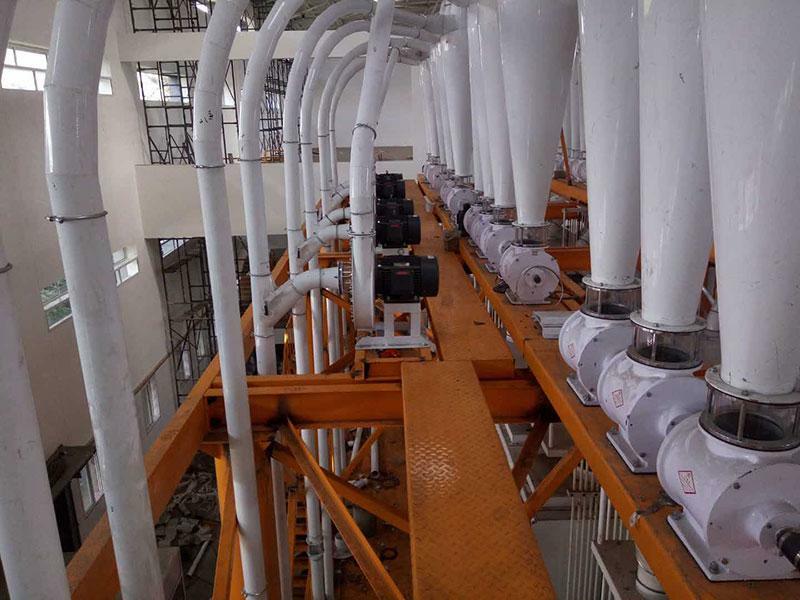 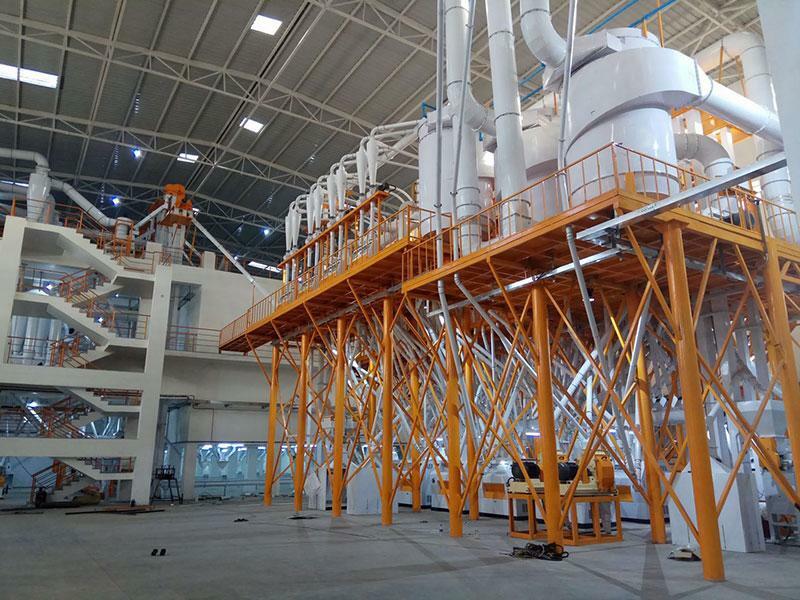 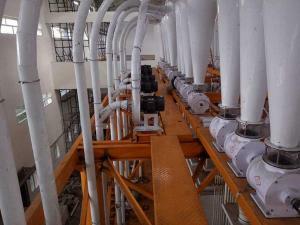 On October 15, 2017, the 500-ton large-scale automatic flour production line turnkey project ushered in the first batch’s commissioning. 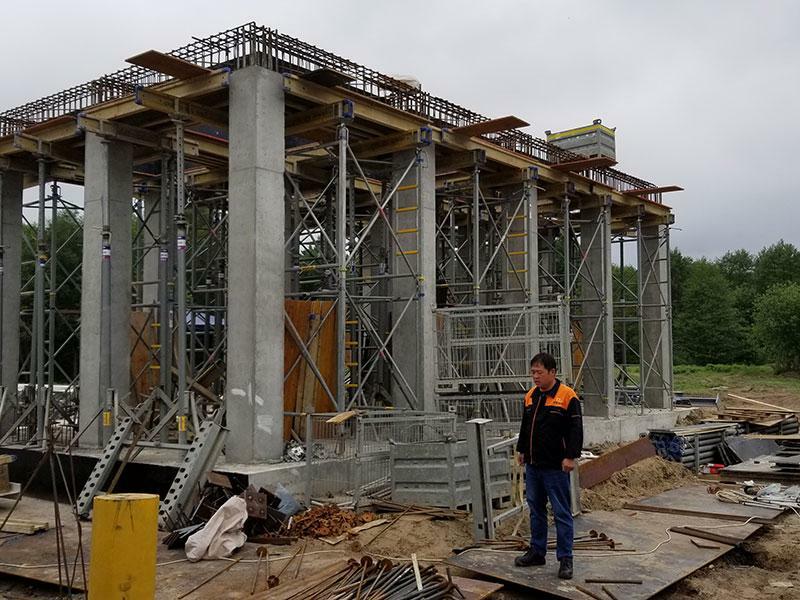 Our clients invited people from Tajikistan, Kazakhstan, Kyrgyzstan, Russia and other countries in the industry together, they observe the project's initial commissioning. The success of the first batch’s commissioning signified that this project as a qualitative leap for Pingle Inc. in international food processing engineering field, and marked our company’s taking a crucial step in large-scale equipment international standardization. 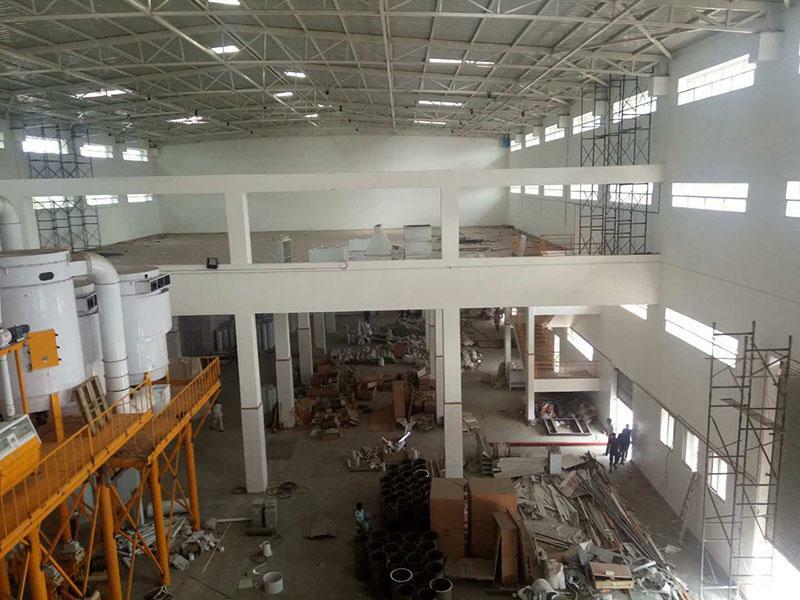 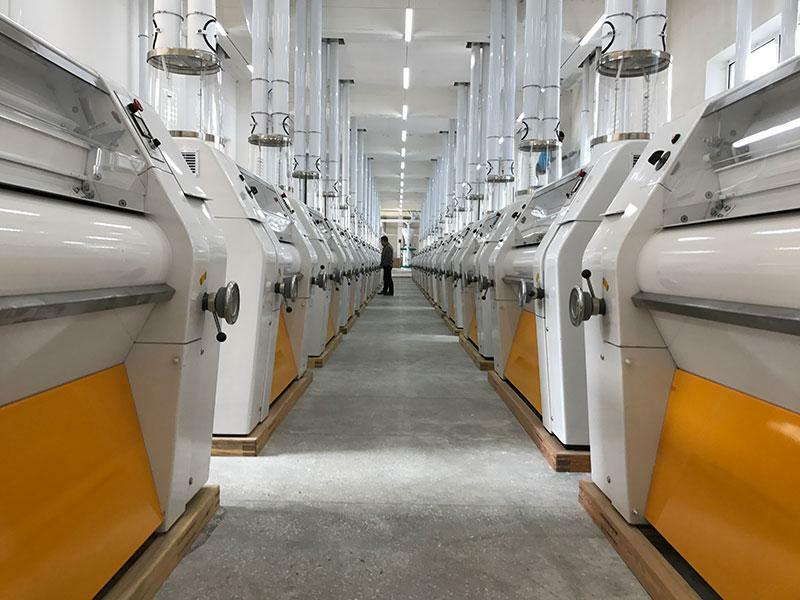 Pingle has designed and installed new production lines for our customer in Kenya, the coproduction line can process 100T corn powder daily. 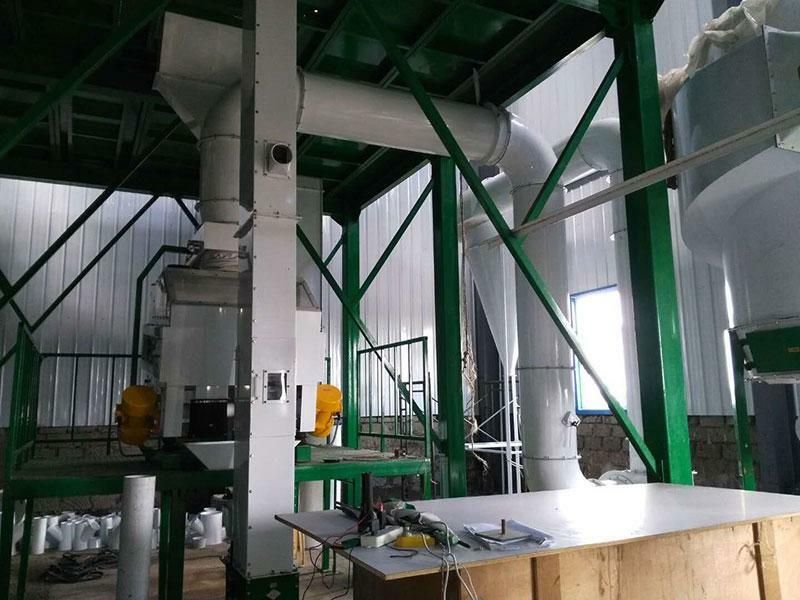 Not only can it co-produce corn powder, it also produces different fineness of gold corn powder. 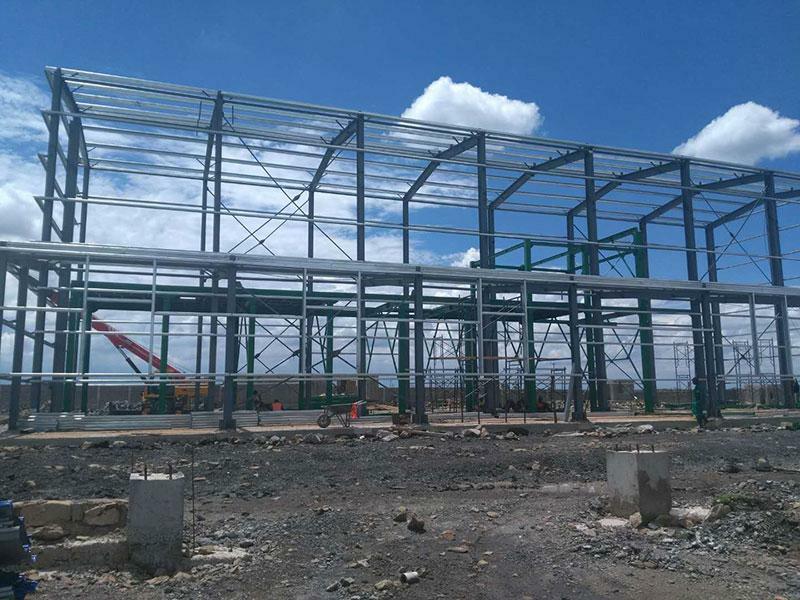 The 100-ton steel corn-gritting factory equipment was shipped in December 2017, and is currently under intense installation. 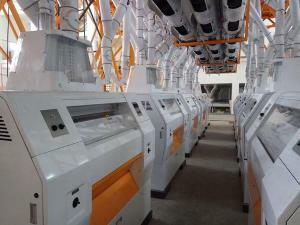 This product designed and manufactured by our company has been given high appraisal for its equality by our customer. 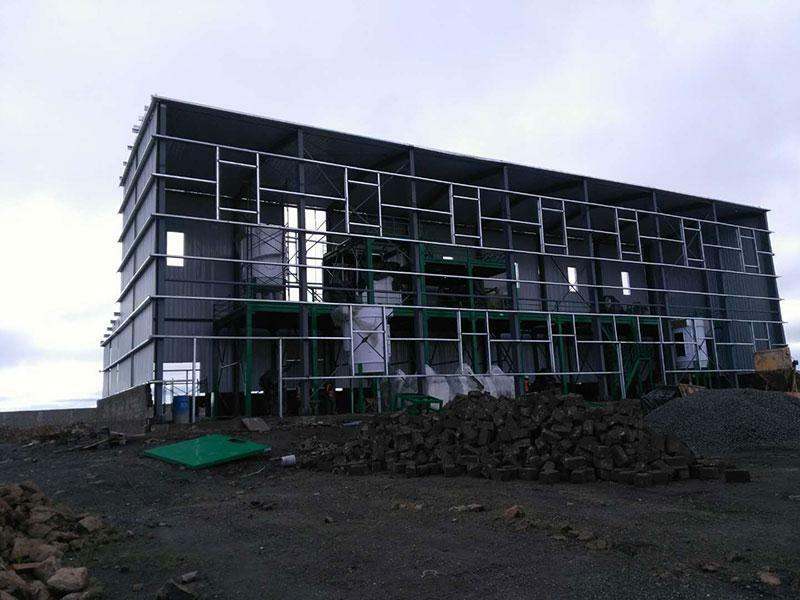 The contract of this project was signed by Pingle and AMAR UNIVERSAL PVT LTD, India in January 2017. 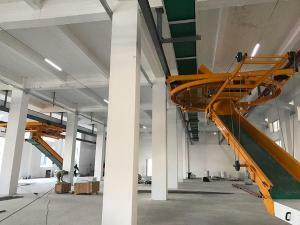 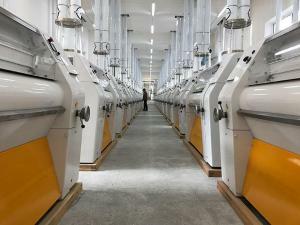 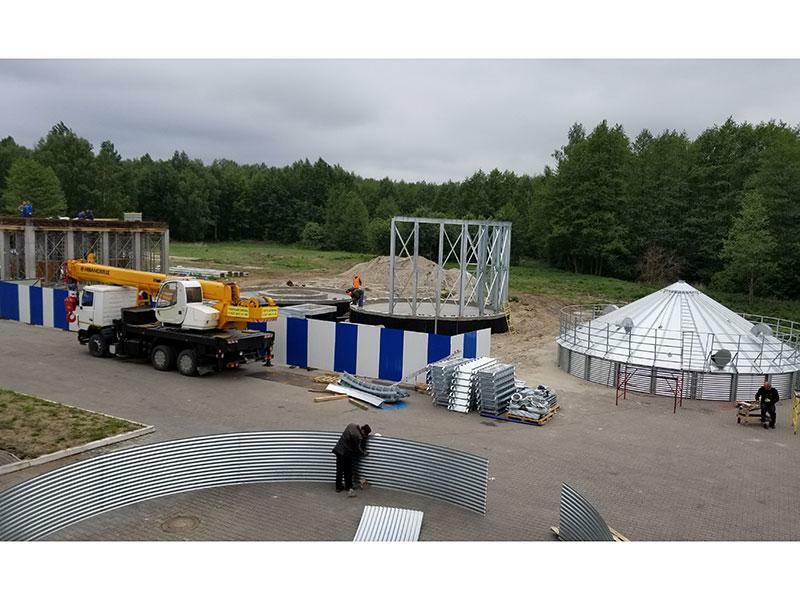 The shipping was completed in August 2017 and the project entered the trial period in May 2018, and immediately put into operation after the test was completed. During the course of the project’s construction, the whole team has carried forward the craftsman spirit from the beginning to the end. 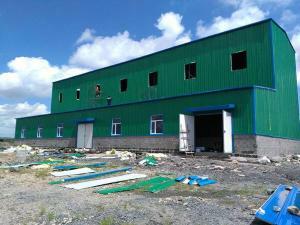 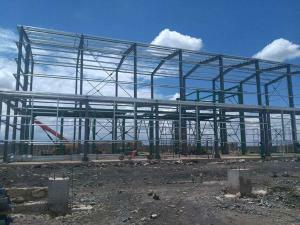 The project has been carried out smoothly, and highly praised by the customer.